Our Story - Guardian Angel Alpacas Inc. 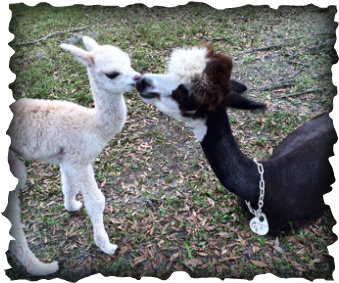 Guardian Angel Alpacas Inc. started as a dream in 2014 and after 3 years agisting our alpacas, we found our alpacas their new home. They all happily moved in May of 2017 and are loving their new surroundings. ​Guardian Angel Alpacas Inc. began after a visit to an Open House at Goldenspirit Alpaca Ranch in 2014. What started as a fun day turned into a dream after purchasing our first alpaca, Anica.. Several months later Candi joined our herd and in 2016 she gave birth to our first Cria, the very handsome Biscotti. We have since added two boy alpacas, Monty and Nico and another girl, Penelope. We also added a male Llama, Louie and 2 female Llamas, Sophia and Snowy to our family. Copyright © 2016 Guardian Angel Alpaca, Inc.. All rights reserved.